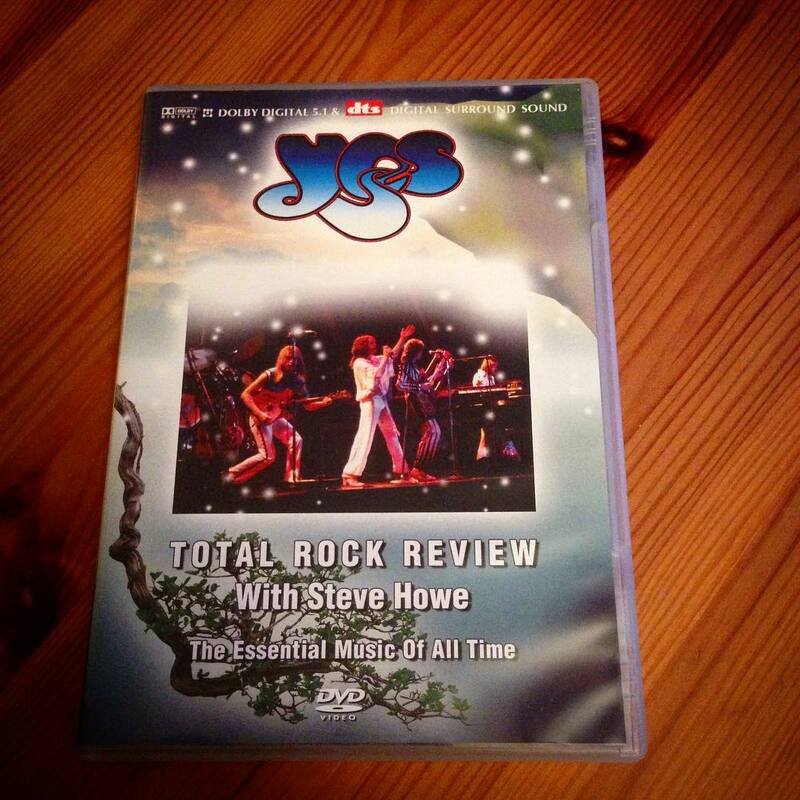 In a week of amazing contrasts, I return to continue my look at the Total Rock Review DVD and Mark revistis the ABWH album as well as bringing us his two pence on the future of progressive rock. I also have my say on the current ARW ticket pricing issues. 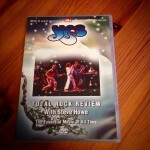 What more is there to learn about the early days of the band fromt he DVD? Who will carry the prog torch? Will Yes fans be priced out of seeing ARW? Listen to the episode then let me know what you think! Thanks for the shout out, Kevin…I’m very curious what you think of the CDs. Look forward to your reactions. I do hope you enjoy them! As for the ticket pricing, I think it’s the promoter trying to take advantage of the uniqueness of the ARW event. Interestingly, the costs are similar to what Rush has been charging for the last few tours, and with their arguably larger fan base the promoters no doubt felt (correctly, as it turns out) they could get that much for a ticket. I think a similar dynamic is happening here. They think the fans will be more motivated to see the ARW show because it may never happen again, so they will pay more. Conversely, Yes have been constantly touring for the last eight years. As a result, there appears to be less demand for their tickets, so the prices are lower. What the promoters failed to realize is that since Yes fans are used to prices in that ticket range, they might be more motivated to experience sticker shock than to pay those prices. Even the Anderson Ponty band tickets were in the Yes price range. Short version: I think their calculation has a good chance of backfiring. Having said that, I paid about $80 for my ARW ticket, and I usually pay about $40 for Yes. If I had gone to see Rush, though, the cheapest seats were $90. These are all at comparable venues. So in one sense, it’s too much, but in another, it’s quite reasonable. Does all of that make sense? I just wanted to leave a quick comment in regards to the ticket pricing. Kevin Stewart Brodie made a lot of great points in his comment but what I think a lot of people are forgetting, and I’ve heard this from a few artists, is that all this price increasing and special package deals started once the record labels took a nose dive and free downloading began. Artists started losing lots of money they would have got in record sales and when the label starting suffering the bands had to kiss goodbye their tour support money. In a way I don’t blame the bands who do this after all they need to make a living..and I sometimes wonder if those people who are taking music for free…may also be the ones complaining about this increase…in that case you reap what you sow. This began way back with the Eagles reunion in the late 90’s. .when they announced they were charging 200 dollars for seats to their shows…many complained but the tour did well. And don’t forget..you don’t have to buy a package deal..I never have..but those who I know who have..never complained and called it an experience worth the money. I guess though that can very band to band. In closing I’m not saying that I’m 100 percent for the increase. .I’d love to go back to a time when people paid for music and concert cost a lot less…but I feel that sometimes…just sometimes..we have no one to blame but ourselves. Excellent points, Mark…I think once the concept of “record sales” became a thing of the past, prices increased. You may be right that this is a consequence of that phenomenon. The ARW concert is a real unfortunate thing for me as well. First they are playing across the state from where I live in Michigan, Which I have no Idea why when I’m almost sure the fan base for ARW is in the South East corner of our state. Which brings me to If I want to go I would have lodging food and what ever else goes along with that. I was absolutely floored when I seen the VIP package for sure and yes I agree it may be the promoters,however seeing that these men are not getting any younger Its all about supply and demand and I’m almost sure the demand is there. When you look at other forms of entertainment such as sporting events and such people will spend upwards of 1200 dollars a game to see a NFL game so all things considered I believe people will pay for it and again how many times do you really think they will be out touring? The only bummer for me was that Bill and those damn electronic drum set was so wanting to hear him snapping the real skin on a drum but it was and still remains one of the best Yes shows ever. However I really don’t think that the new music they will be making will be anything like that I’m thinking more on the line of Talk the 21st century version with Trevor’s ability to score the new sound and Rick’s just unbelievable keyboard work and of course Jon’s poetry in lyrics oh yes I think it will be very progressive and rock all in one! Thank you for your comment. I’m sorry to hear that ARW are not going to be playing near you. I really would love to see them but they haven’t announced any Canadian dates yet…I’m a little worried they may skip Canada all together. As for my opinion on the ticket price situation..refer to my comment above yours. Oh and I think your right…the new ARW album will sound more like Talk then ABWH. I live in West Michigan but the Chicago show is still 2.5 hours away from me so I will likely pass on it. I can still get two tickets on the floor for $78 each, which strikes me as not so bad. I am seeing McCartney and Springsteen this summer for more than that so I think those prices are not too out of line. On the other hand, I saw U2 for less last year. When I see the prices resellers charge I think that I’d rather give the money to the artists. Mark, in response to your two pence – One of the artists carrying the banner forward is Glass Hammer. They’re still going strong and putting our amazing stuff. I’m grateful that I learned about them through the Jon Davison connection but I like almost all their stuff, especially from Lex Rex onward. Yes…Glass Hammer are a great example of a band that could possibly carry the flag…Although I think they need to get out into the public eye a little more…it’s one of the things that the downfall of the music industry has done for these bands. ..labels both major or indie don’t have as much funds to give to bands for tour support. .it’s important to play a lot to spread the word. Yes would tour consistently early in their carrer and it helped increase their fan base. These bands like Glass Hammer have to find a way to do the same. Regarding ticket prices. Any of the possible reasons for the high prices mentioned above may be true. Yes, I agree that musicians need to make a living, etc. The bottom line comes down to how much it’s worth to you (assuming you can afford it). And I’m talking in general, not just ARW. A few years ago Peter Gabriel came to San Jose near me and he was playing in the local large arena (a hockey stadium) which I know has terrible sound unless you are right on the floor directly back from the stage. The tickets were about $150. My wife would have gone with me, if I’d gone. After adding up the various expenses for the night including the $25 they usually charge for parking I figured it would cost me about $400. I decided it wasn’t worth it to me. So, I typically pay between $50 and $100 for name act concerts. I don’t have a set limit above which I won’t go, but $100 is close close to it. It depends, of course. At the other ends of the spectrum, I’ve seen some great bands in clubs in San Francisco for $15 or $30. Great sound and close enough to see the chords they’re playing. PS – My condolenses on the Brexit vote. It is truly a sad day for those of us who consider ourselves citizens of the world. (My mother was born and raised in Lancashire and I have strong ties to the homeland). Whilst I understand the logic in the argument about pricing, Mark, I’m afraid I’m out. Of course they have to make a living, but I’m not so sure that your argument about free (presumably illegal) downloads is relevant. I’d hazard a guess that anyone who would in the past have bought an ARW disc in the days before internet downloads and streaming will either still buy one or buy a legal download (I certainly will). Those who illegally download would not have purchased anyway. What I am less sure of is how well/badly artists are recompensed by streaming services. On the one hand, the revenue must be much, much smaller, but on the other hand I listen to stuff on such services that I wouldn’t otherwise have dreamed of buying. Paul, I’m not sure that the analogy with sporting events holds completely true. Whilst there is no doubt each gig is different, it doesn’t have the same “one off” event status that a cup final or Superbowl final has. And Guy, don’t worry, we are chlidren of the world (indeed we are stardust and thus of the universe). Some might say that Brexit means we are more able to be this now rather than “just” part of Europe. The ticket price thing is just another sign that they are ripping off the fanbase. They are, after all appealing to people of a certain age with disposable income. 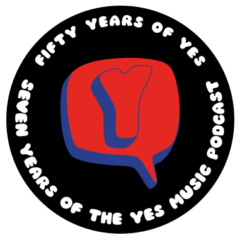 It is part of a trend for the superannuated musicians to get back together to milk the cash cow.At least Yes as an entity has never ceased to be (although the membership has seemed somewhat fluid). For me their lack creativity shows what they feel about their fans, churning out potboilers or just rehashing old material. Regarding MAK’s point about carrying the flame for Prog Rock, why would anyone be reliant on the old timers? Marillion were just a Genesis clone when they first appeared. I’m sure there are plenty of young musicians making excellent music. Some while ago Kevin put us on to Sid Smith, who had a prog music podcast. He played some excellent bands with amazing music and musicianship. Id look to them rather than tired old blokes who have done their bit. Having said that, I wonder about the vast reserves of Prog albums made in the 70s that hardly saw the light of day. How about mining that resource. Danny Baker from time to time talks about bands (on his radio show) a lot of which I’ve never been aware. I never said that we should rely on the old timers…I’m just saying that right now there are few bands who have as much status as the old timers…Dream Theater is one band that is well know world wide..and while I’m familiar with lots of other prog bands like Glass Hammer..Mystery…Big Big Train…Tiles (who I enjoy by the way). But these bands get no where near the push that the old timers got…therefore are no where near as popular or known world wide…there needs to be another Genesis..or Rush..in order to keep the genre going…so far there aren’t many contenders. Just my opinion. So my local venue for ARW would be the Eventim Apollo in London, England – more famously known as the “Hammersmith Odeon” and original (not resell) tickets for that are £60 and £80 (compare to £48.50 for Yes back in May at the Royal Albert Hall) ok so more expensive but the thing that gets me is the “fee” on top of that. For Yes @ RAH it was £6.55 for ARW it will be £10.25 or £11.65 – bringing the price up to £70.25 or £91.65. Then they say “all prices EXCLUDE a per transaction delivery fee which will be added to the total amount due !!! Anyway – back to ticket prices – despite having argued against the high cost (to the extent I will sadly not be gioing) I’m not sure it’s necessarily “greedy” bands. Hammy Odeon seats about 3000, RAH about 9,000. Similarly Brighton Dome seats about half what The Brighton Centre seats. I know costs don’t scale evenly, but it is logical in order for bands playing in smaller venues to make as much as band playing in larger venues, they would have to charge more. If the bands could guarantee a sell out, no problem. Book a bigger venue and sell tickets for less. But empty seats looks bad. So far better to book a smaller venue and have places over suibscribed. But that could back fire if people like me decide not to attend due to the prices – and of course that also means that as fewer tickets are sold, even smaller venues will be booked next time.